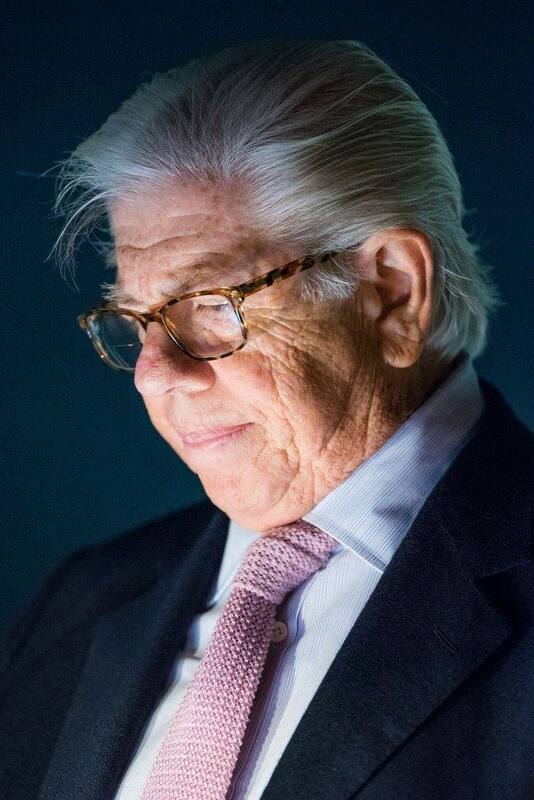 SmartNews Presents an Evening with Carl Bernstein | SmartNews, Inc.
Last Thursday, the renowned Carl Bernstein returned to Watergate — with SmartNews! 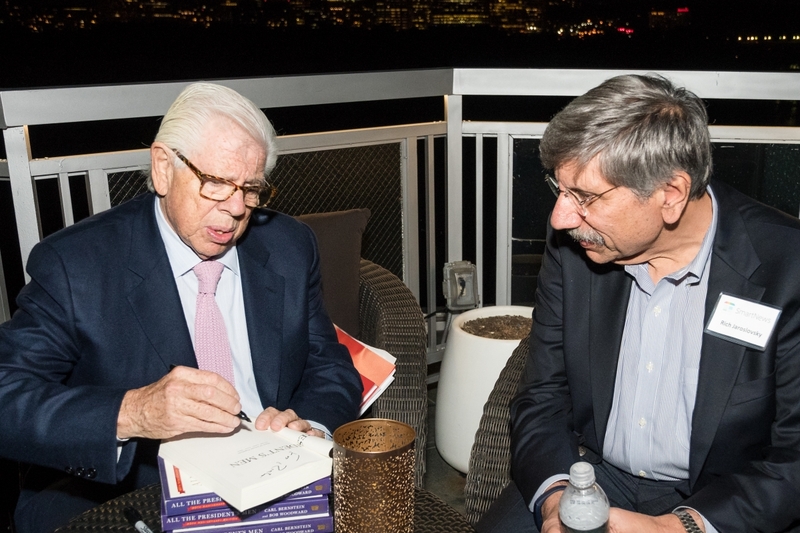 The distinguished Pulitzer Prize-winning reporter joined over 175 attendees from the Online News Association conference on the rooftop of the Watergate Hotel, the full moon illuminating the Potomac River behind him as he gave a moving speech on the current state of journalism. Rich Jaroslovsky, our VP of Content and founder of ONA, introduced the acclaimed guest, citing Bernstein’s historic reporting and career as a pinnacle of what journalism should be — a defense of fact against fiction. Bernstein elaborated on this topic, emphasizing that while audiences may have become increasingly disinterested in the full picture, journalists must continue to seek out quality information and provide exceptional reporting for the sake of the public good. To resounding applause, Bernstein wrapped up his speech with a brief Q&A session, responding personally to both seasoned reporters and journalism students in the crowd. A few lucky attendees were able to get copies of his book, “All the President’s Men,” signed, while others milled around trying to snap photos of the larger-than-life reporter. We figured that none of the smartphones present could do justice to the event, or to the guest of honor, so we took some photos of our own! Check out pictures from the incredible night here if you were unable to attend or if you’d just like to relive the evening. 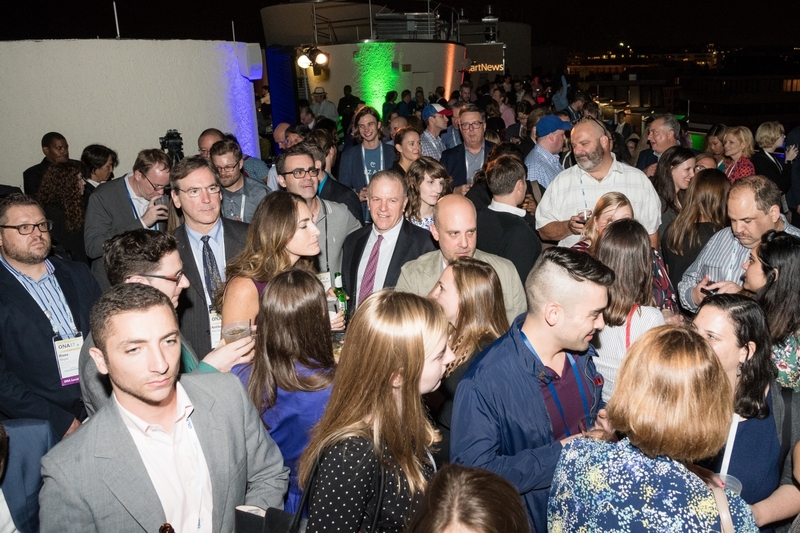 Thanks again to all those from ONA who made it to the party — we hope to see you next year!